A deaf rights group that sued Netflix to compel it to caption all its video programming has reached a similar deal with Amazon over its streaming video. Unlike the Netflix settlement, the deal between Amazon and the National Association for the Deaf was negotiated without litigation. Amazon has already captioned 100 percent of the video it offers through its Prime Video and has agreed to continue to do so. Under the deal with NAD, Amazon will move through its back-catalog content, captioning an additional 190,000 titles which weren't given captions by the content creators. For videos that have been viewed more than 10 times in the past 90 days, Amazon will get 90 percent of them captioned by the end of this year and 100 percent of them captioned by the end of 2016. "The NAD is thus thrilled by Amazon’s decision to make its online entertainment experience more accessible to deaf and hard of hearing customers who also look to Amazon to fulfill their needs for comprehensive goods and services," said Howard Rosenblum, CEO of the NAD. "All content available through Prime Video has been captioned since the beginning of this year and we already offer an extensive selection of captioned content," said Jim Freeman, VP of Amazon Video. "We are happy to partner with NAD to extend captions even deeper into our back catalog of titles." NAD attorney Namita Gupta said that the group tried to negotiate with Netflix, too, but "they were unwilling" and the negotiations failed. The discussion with Amazon, by contrast, was "amicable from the start," she said. Gupta said she hopes the Amazon settlement will serve as an example for anyone providing streaming video online. Asked if NAD was considering negotiating for 100 percent compliance from smaller entities who stream video online, through YouTube for instance, Gupta declined to comment. Harvard and MIT were sued by NAD earlier this year over their online courses, which aren't properly captioned. That case is ongoing. The university defendants have asked the case to be dismissed or stayed (PDF) until the Department of Justice releases its guidelines on when and how websites should be made compliant with the American for Disabilities Act. NAD has opposed that motion, which is fully briefed and could be decided any time. The DOJ guidelines are needed in part because courts have come out differently on the matter, the universities argue. In Massachusetts, a federal judge allowed the NAD lawsuit against Netflix to move forward. In April, the US Court of Appeals for the 9th Circuit ruled differently, finding that the ADA doesn't apply to Netflix. Acknowledging that a wide variety of higher education institutions have run into legal problems because access to their Web sites does not conform to the most recent version of the Americans With Disabilities Act, Perkins School for the Blindhas launched a consulting service that will help colleges and universities meet requirements and enhance access to their digital resources. A division of the Perkins School in Watertown, MA, Perkins Solutions conducted a survey of the 20 colleges and universities ranked highest by U.S. News & World Report. The study found that more than 90 percent of the schools — meaning all but one or two — failed to meet at least some of the guidelines the federal government has set to make Web sites accessible to disabled users. As a consequence, Perkins has introduced its Perkins Access set of services to help schools address the problems of accessibility. Harvard University and theUniversity of Notre Dame have already taken advantage of the service. A team of accessibility technology experts will review a university's digital assets across the enterprise and provide an access report that outlines the accessibility issues discovered. The review typically includes Web content, mobile applications, Microsoft Office files, PDFs and hardware. The team can then develop remediation plans to ensure that those assets can be fully used by individuals with disabilities. Remediation efforts can include coding, the types of files used, and the captioning and audio description of rich media. If required, the team can also offer ongoing monitoring and a staff training program. "By making Web sites accessible," said Perkins Solutions Digital Accessibility Director Cris Broyles, "we not only create a more accessible world for individuals with disabilities, we make organizations more attractive to a broader audience." 2016 is on track to become a historic election cycle for Disabled Americans. 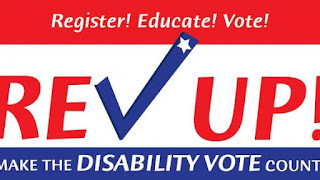 From live events –including the Road to Freedom Bus—to political action groups and viral social media campaigns, Disabled Americans are flexing their community organization and electoral power coast to coast through education, empowerment, and promotion of the 2016 Disability Vote. Collectively, this national effort of encouraging Americans with disabilities to engage in the 2016 Presidential Election will help ensure that the experience of 56.7 million Disabled Americans is reflected at this moment in American history. To participate in this national effort, DisBeat Announces First Five 2016 #DisabilityVote Initiatives. About DisBeat: DisBeat is a national communications initiative designed to coordinate and promote proactive messaging on disability rights issues throughout the country. DisBeat uses a variety of communication tools, including social media, to bring attention to disability issues from an authentic disability perspective. DisBeat also maintains a database of subject-matter experts, fact sheets and talking points on a variety of critical issues facing 56.7 million Americans with Disabilities. DisBeat is a project of The ADA Legacy Projects. Initial Partners include ADAPT of Montana, Center for Disability Rights, Disability Rights Center, Disability Visibility Project, EIN SOF Communications, Nothing Without Us Media, and Shepherd Center (http://www.adalegacy.com/disbeat). WITH its mix of beautiful babies, heart-warming stories and tragic tales, Call The Midwife regularly leaves its viewers in tears. But series five sees the cosy Sunday night show scale new emotional heights as it takes on its boldest storyline to date, becoming the first drama to tackle the tragedy of the thalidomide scandal. At the end of series four, viewers were horrified to see Dr Turner, played by Stephen McGann, innocently prescribing the drug to a mother suffering from severe morning sickness. In the new series, which is set in 1961, the doctor and his midwifery and nursing colleagues are distraught when limbless baby Susan is delivered after a hard birth. She is among the 10,000 babies worldwide who were born with similar deformities after their mothers were given thalidomide in the late 1950s. The drug had not been adequately tested and its catastrophic side-effects were not yet known. Series writer Heidi Thomas — who is married to Stephen — told The Sun: “I was born in a Catholic nursing home and I was delivered by nuns. 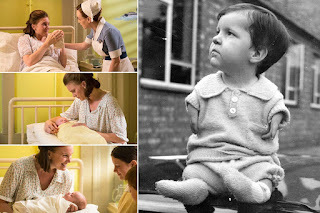 Call The Midwife has been able to depict the thalidomide scandal, thanks in part to advances in digital technology that allow a limbless baby to be portrayed on screen. Entirely prosthetic babies are often used for birthing scenes but Susan was partly a robotic model, with CGI giving the tot a real baby’s face. Stephen, 52, who has played Dr Patrick Turner since series one, said: “When we first got the prosthetic it was named immediately. It was not going to be named ‘the prosthetic’ or ‘the prop’, it was to be named Susan, because that’s the baby’s name. Other cast members admitted sobbing on set after being left so moved by Susan’s deformities. Helen George, who plays nurse Trixie Franklin, said: “I couldn’t stop crying, it was raw and heartfelt. Emerald Fennell plays nurse Patsy Mount, who delivers the baby. She said: “The moment any of us are filming something sad, we are all moved and start crying. “I’m just so surprised no one has ever done the thalidomide story before, because it’s such an enormously important story. Viewers will see the baby seconds after she is “born” and later as the nuns and nurses discuss how to dress the limbless child. Charlotte Ritchie, who plays nurse Barbara Gilbert, said: “It was incredible to see the face of the baby superimposed on to that, I don’t know how they did it. Pam Ferris, who plays Sister Evangelina, is not involved in the Susan storyline but was still greatly affected by it. She and co-star Judy Parfitt, who plays Sister Monica Joan, both had sisters who were giving birth at the time of the thalidomide scandal. She also recalls how the public’s attitude towards disability and deformity was one of fear and misunderstanding rather than compassion in the 1960s. She said: “There was still some medieval attitude left, that it was the work of the devil and something gruesome that you could catch and was not nice to be near. Early on, there was this desire just to let the child slip away. Jenny Agutter, who plays Sister Julienne, was shocked to learn that some thalidomide victims are still struggling to get compensation. She said: “It’s extraordinary that the story isn’t quite finished yet. Although there have been plenty of documentaries about thalidomide, Stephen hopes that Call The Midwife will be able to portray the real human suffering as well as how people learned to adapt and find happiness despite their difficulties. The programme makers were advised by the Thalidomide Society charity and nurses who delivered the babies in the early 1960s, and Stephen said: “When you do drama you don’t show them tables and dates, you show them how a nurse would react when they first see it. “We’ve heard stories from nurses who were actually there, reacting to it. We’re bringing the history to them as feelings, like we’ve always done. For writer Heidi it is all about giving a voice to thalidomide survivors. She said: “The people affected are still fighting for proper compensation. “Yet it was obvious to me that people of the younger generation, including some of our own actors, didn’t know what had happened. “At Call The Midwife that’s our dialogue. It’s the dialogue of real life, of the history of the 20th Century and with people who perhaps have never had a voice before. ED FREEMAN, seen as a youngster in the main picture and above today, was born with shortened limbs after his mum Beatrice, now 91, took the drug for bronchitis. Now 56 and chair of the Thalidomide Society, Ed helped the producers of Call The Midwife make the new storyline accurate. He says: “I was one of the first few babies to be born affected. My mum has always felt so incredibly guilty. Even now she can’t stop blaming herself – a tragedy in itself. “My dad joined the Thalidomide Society straight away. In 1974 he and Mum got £5,000 compensation each. “I still see us as the lucky ones. I know so many other families ripped to pieces by this completely avoidable disaster – divorces, suicides, you name it. “Until I was ten I had artificial limbs, but as I got older they weren’t much use – I couldn’t walk far. “My teacher managed to get the local council to pay for an electric wheelchair, which was a complete life-changer. “I’ve been head of the Society since 2012, helping share information. We also support the remaining parents and thalidomiders. “ We want to stress that thalidomide wasn’t just given for morning sickness, it was sold as a “wonder drug” to help pregnant women with anything from anxiety to depression. — For more information see thalidomidesociety.org. 1953 – Drug created by German firm Grunenthal. 1958 – Licensed for UK use. 1961 – Aussie doctor William McBride notices mums of deformed babies at his hospital had all taken thalidomide and writes to The Lancet. Drug withdrawn in the UK later that year. 1968 – UK distributors, now owned by Diageo, reach a compensation settlement. 1972 – Sunday Times publishes a front-page investigation by its Insight Team into the scandal and pushes for far more compensation. A total of £28million ends up paid during the Seventies. 2009 – Scientists at the University of Aberdeen finally discover how thalidomide causes limb defects, by preventing growth of blood vessels. The Government grants £20million to the Thalidomide Trust. 2012 – Grunenthal Group releases a statement saying it “regrets” the consequences of the drug it invented.